We’re back! 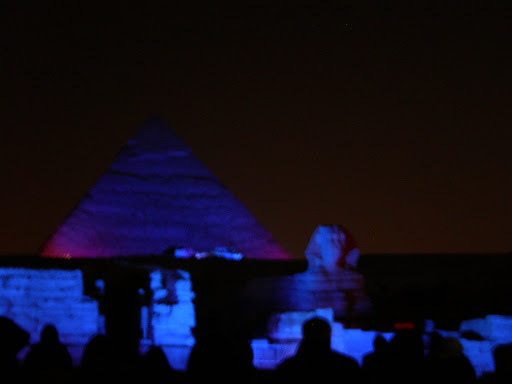 I survived our eight-day sojourn in Egypt, and I experienced so many amazing and eye-opening things that it felt like a month instead of a week. For that reason (and because I’m exhausted), I’ll just post a few random things for now and a detailed overview of the trip can come later. 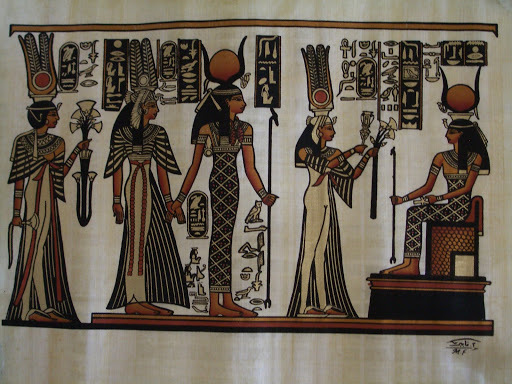 In Cairo we visited a papyrus factory, and this is the papyrus that I bought there, depicting the goddess Hathor, queen Nefertari, and others. We watched a papyrus-making demonstration. 1. Slice off the green bark or outer covering of the papyrus stalk so that only the white core remains. 2. Cut the core into thin slices. 3. Pound the slices with a mallet and roll them with a rolling pin to make them all the same thickness. 4. Overlay the flat slices in a criss-cross pattern, the same way you make a lattice-work crust on a pie. Make sure there are no gaps in between. The amazing thing about papyrus (especially for history’s sake) is how durable it is. Papyrus can be washed, dried, and re-used. If you tear it, you can fuse it back together with a little water. If you crumple it up, it won’t be damaged. Thank goodness for papyrus! 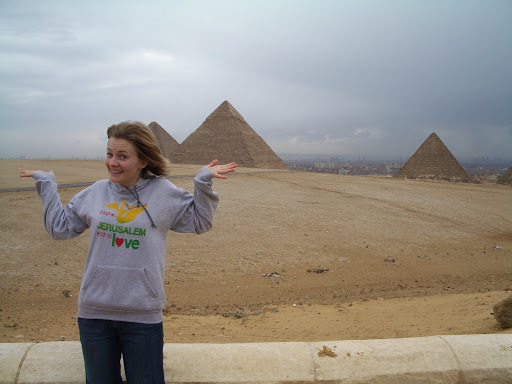 Going to the pyramids was fulfilling one of my lifelong dreams! I kept pinching myself to make sure it was real. 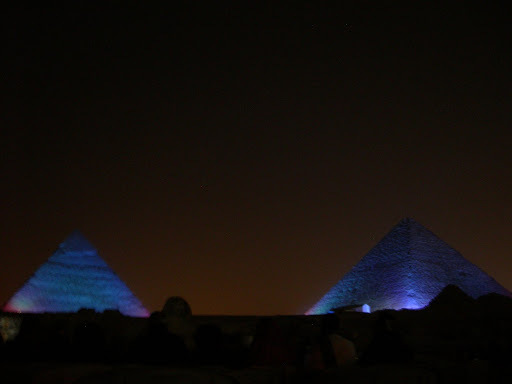 It was incredible to stand in front of them and think, These monuments were five hundred years old when Abraham came to Egypt! By the time Moses was born, they were ancient! Now that is old. 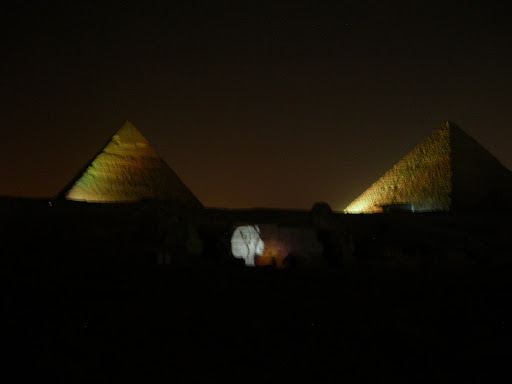 We got to venture inside the second pyramid, the pyramid of Kaphre or Cephren. 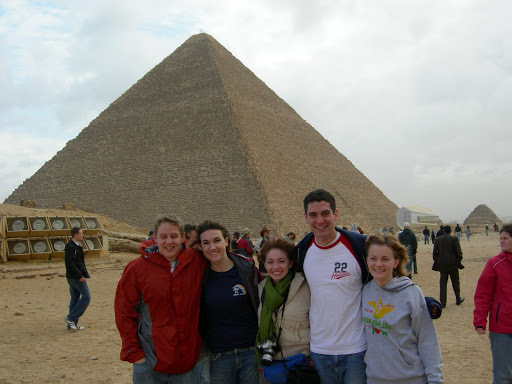 We crawled in the main shaft to the actual burial chamber where the pharoah was entombed. 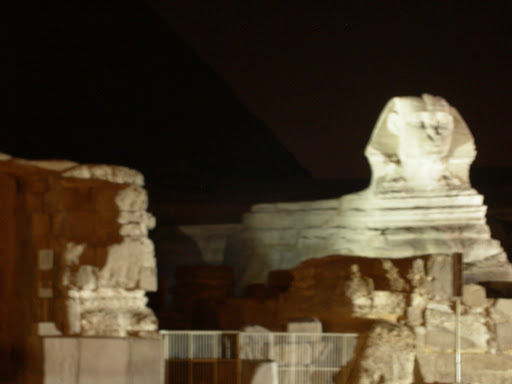 Of course, his mummy and his treasure have all been removed, but his stone sarcophagus was still there. The sarcophagus was carved from a single block of stone with such precision that even with our modern tools and technology it would be difficult to re-create it. 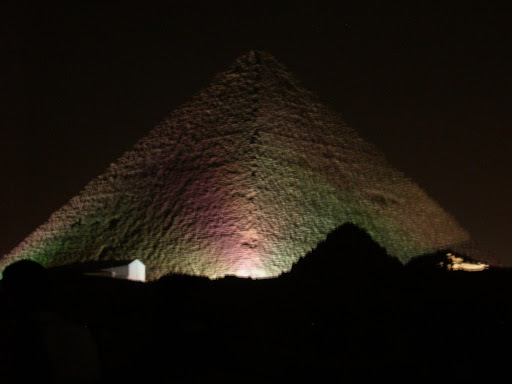 In modernity the pyramid was first explored by Giovanni Belzoni in 1818, and he carved his name and the date on the wall inside the sarcophagus room. 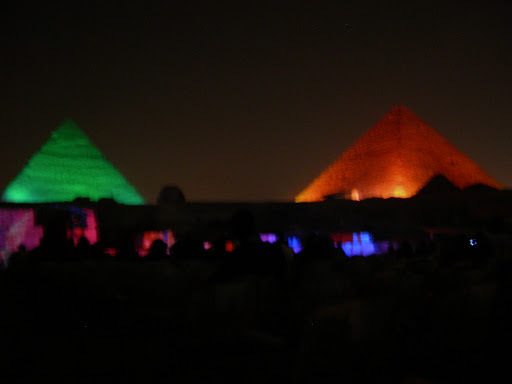 On our first night in Cairo, some friends and I decided to take a taxi to go to the Sound and Light show at the pyramids. 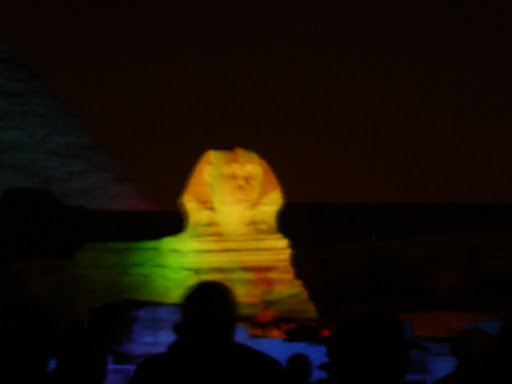 The show was going to be in Spanish, but we decided that a light show at the pyramids was too cool of an experience to pass up, so we went anyway and I did my best to translate. Wow! How can one person be so incredibly cool? 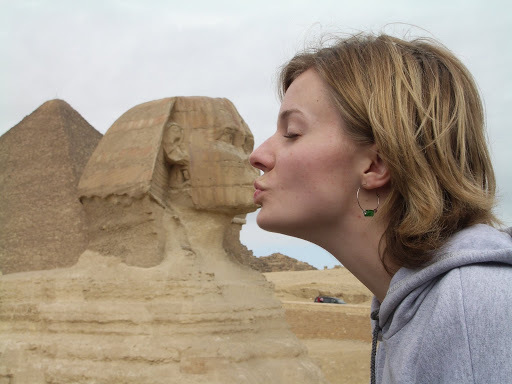 So, you’ve got pyramids and papyrus. I’ve got girls night out with chocolate and your mom,then I get to come home and read your blog. I think we’re even.